Between a roomy cabin, high-quality materials, and three engines from which to choose, the new Jaguar XF is worth your consideration. There’s no limit to how you can customize this midsize luxury sedan, and Wayne drivers will be glad to know they can get their ideal XF at Jaguar West Chester. Contact our team today if you need help weighing your options! For more information please look at our Auto iPacket... it really has so much information on the exact equipment on the one you're looking at. Call or email us for any further questions about an unit.. Just give us the stock number when you call 🙂 610.436.0600.Santorini Black 2018 Jaguar XF 20dBluetooth / Handsfree Calling.AWD 8-Speed Automatic 2.0L I4 16V TurbochargedFor more information please look at our Auto iPacket... it really has so much information or exactly the equipment on every car. Call or email us for any further questions about an unit.. Just give us the stock number when you call. 610.436.0600. For more information please look at our Auto iPacket... it really has so much information on the exact equipment on the one you're looking at. Call or email us for any further questions about an unit.. Just give us the stock number when you call 🙂 610.436.0600.Fuji White 2018 Jaguar XF 20dBluetooth / Handsfree Calling.AWD 8-Speed Automatic 2.0L I4 16V TurbochargedFor more information please look at our Auto iPacket... it really has so much information or exactly the equipment on every car. Call or email us for any further questions about an unit.. Just give us the stock number when you call. 610.436.0600. For more information please look at our Auto iPacket... it really has so much information on the exact equipment on the one you're looking at. Call or email us for any further questions about an unit.. Just give us the stock number when you call 🙂 610.436.0600.Black Metallic 2018 Jaguar XF SBluetooth / Handsfree Calling.AWD 8-Speed Automatic 3.0L V6 24V SuperchargedFor more information please look at our Auto iPacket... it really has so much information or exactly the equipment on every car. Call or email us for any further questions about an unit.. Just give us the stock number when you call. 610.436.0600. You can tell that the new Jaguar XF is a marvel with a simple look. When top auto critics heap high praise on a midsize luxury sedan such as the Jaguar XF, you know it offers much more than an attractive exterior, and Newtown Square drivers are sure to get excited over everything in store. 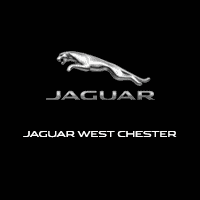 For example, Edmunds touts the new Jaguar XF for its sporty handling, extremely comfortable interior, and ample cargo space, calling it a “compelling alternative to the established luxury sedans in this class.” You’ll soon understand why that is when you take it for a spin at Jaguar West Chester. Take a look at our Jaguar XF lease deals today!